We have designed all our pools to be portable and easy to handle, even our largest pool can fit into a family hatchback! Assembly couldn't be easier, as no tools are required, the pool is simply held together with hidden, finger tight wingnuts. Our small family business was founded in 2005 when our own church needed a way of Baptising new believers in our Sunday meetings. 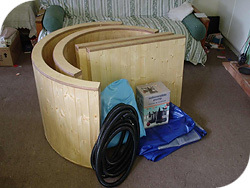 The design of the standard pool was arrived at out of a need for a pool which would be easy to use, erected quickly without tools and yet be big enough to hold two people as well as the candidate. As we do not have our own building it was important that it could be filled and emptied quickly with the minimum amount of water. The resulting prototype worked extremely well and after a little research we realised that there were many other churches out there that had the same problem. 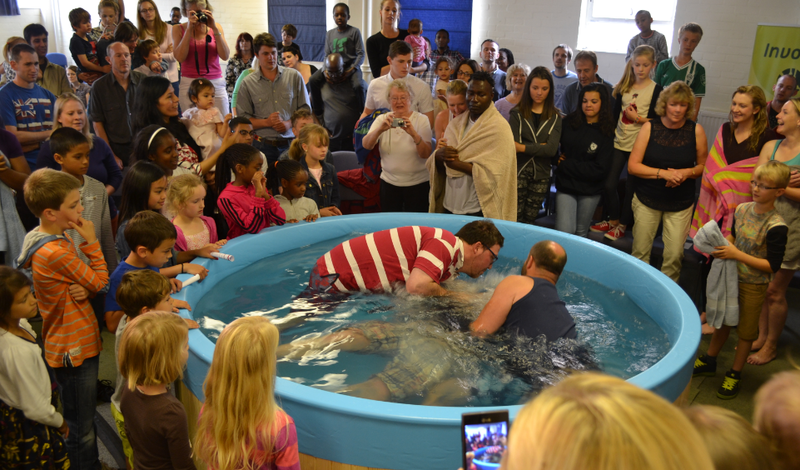 One of the first to be baptised in our prototype pool was to be our future son-in-law! The rest is history... After refining the design we are now supplying them to churches across the country and have supplied them to churches as far as Australia, China and USA! We have designed all our pools to be portable and easy to handle, even our largest pool can fit into a family hatchback! 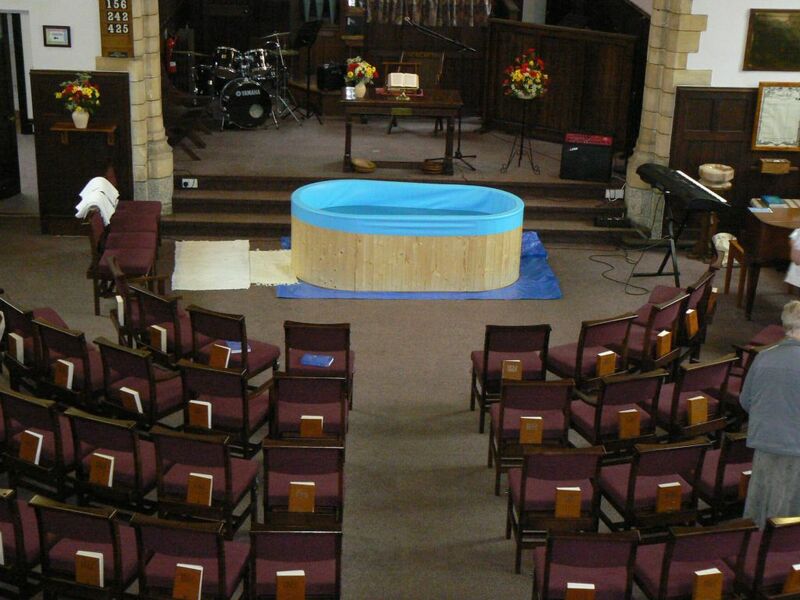 The Standard Oval Portable Baptistery comes in kit form, made up from six lightweight timber sections and an all-in-one durable waterproof liner. A submersible waterpump and 10m flexible hose is also available for emptying the pool. Assembly couldn't be easier, as no tools are needed, the pool is simply held together with hidden, finger tight wing nuts. 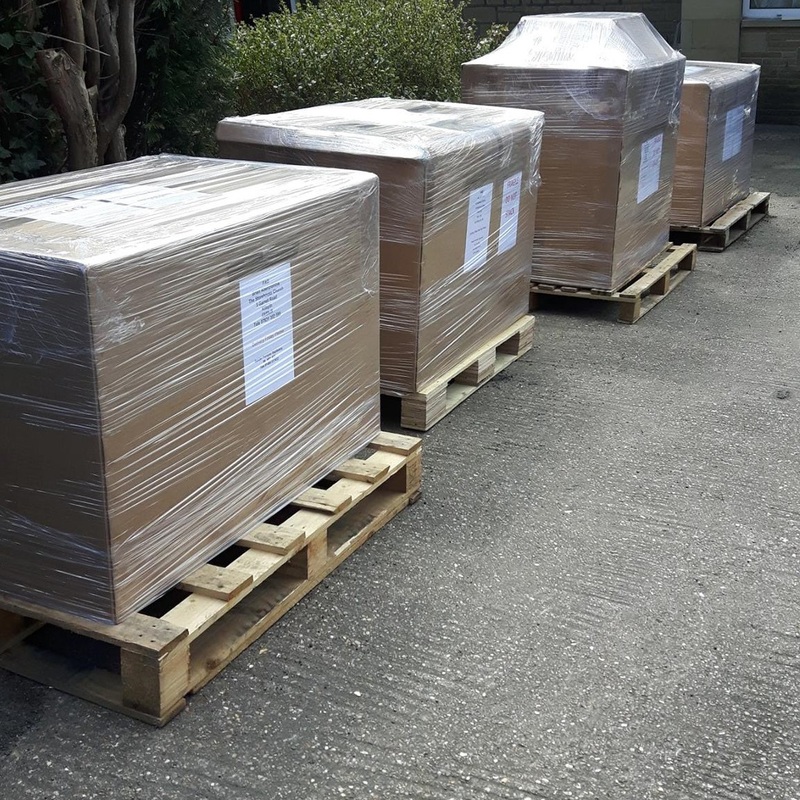 We don't normally carry stock for immediate dispatch. 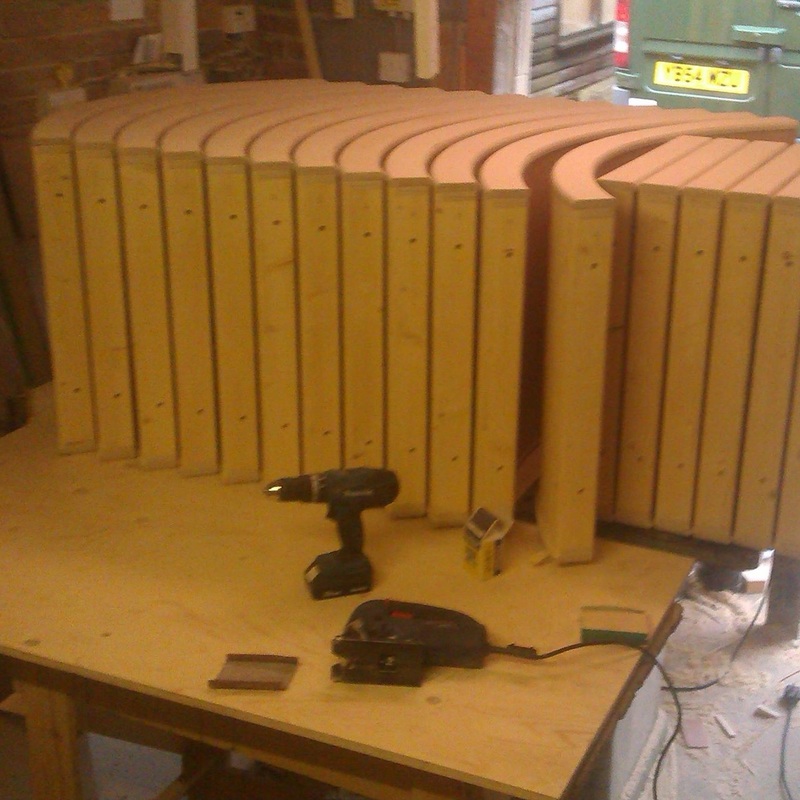 Each pool is made individually to order in our workshop. Once an order is placed, your pool is built with real care and attention to detail. We can arrange delivery to any part of the UK. Please contact us for details. 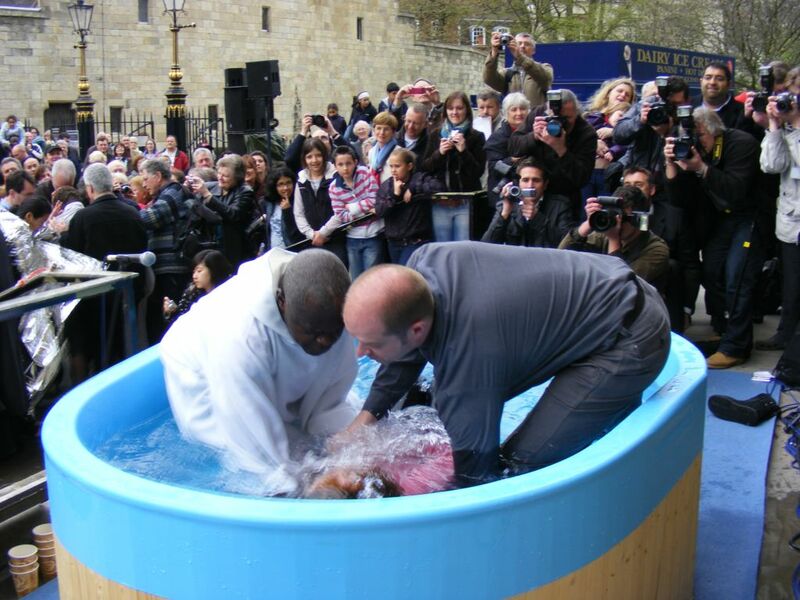 We have delivered baptisteries to churches all over the world including Australia, China and USA. Please contact us for a quotation. The pool is then packed and shipped by pallet to your location.